SAI has reentered the firearms making business, after concentration on sound suppresser development and production, and firearms spare parts manufacture, we have now decided to expand into complete firearms production. SAI has previously made complete firearms to other civilian companies and to special government order in calibers ranging from .22 lr. to .50 BMG. Junior cadet training rifles as well as long range counter sniper rifles. We will now introduce our Counter Sniper Rifle (CSR) model A1. 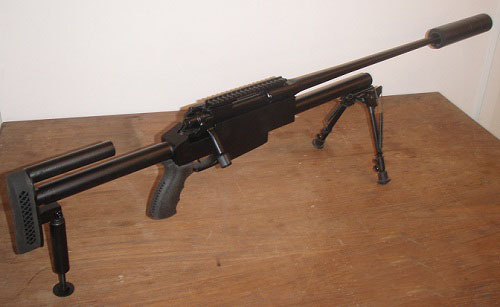 Rifle shown is the SAI CSR-A1 in caliber .300Win. Mag., fitted with the SAI Evolution HC sound suppressor, adjustable chin support, Harris front support and rear adjustable leg. The SAI CSR-A1 Rifle is available in several versions, including folding buttstock, integrated silenced barrel, several different calibers, shorter versions, recoil reducer, extended picatinny rail, winter trigger, extra magazines, extended magazine capacities etc. The SAI CSR-A1 rifle series is aimed at the medium range counter sniping area. Made for rough and hard field use with a minimum of service necessary enables this rifle to be operated in very harsh environments under stressed conditions. Made in several versions the SAI .50 BMG rifle is now available. Build as a Bull-pub system configuration the SAI CSR-50 has the advantage of a relatively short weapon yet retaining a long barrel. 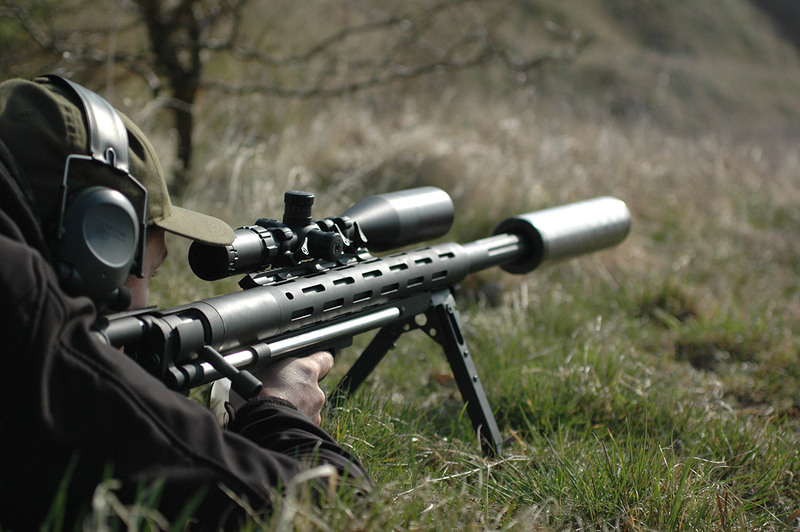 Being a super hardhitter the .50BMG cartridge does repay with some recoil - even for seasoned rifle shooters. SAI has as standard equipped the gun with a super effective muzzle brake and as an option the SAI gas recoil containing system is also available for this gun, as well as options like left hand version, angled picatinny rail etc. The Lothar Walther match grade barrel is a good friend when it comes to very long range target shooting. Also available for this gun is the SAI heavy duty 3 position front support and adjustable rear support leg.